During the holidays you end up being the suspect of tons of family photos and holiday party photos with friends and of course choosing the perfectly cut dress for new years that may show off your back. You wouldn't choose to show off red spots on your face or caked on makeup and even blemishes on your back from scarring in your new - new years dress! 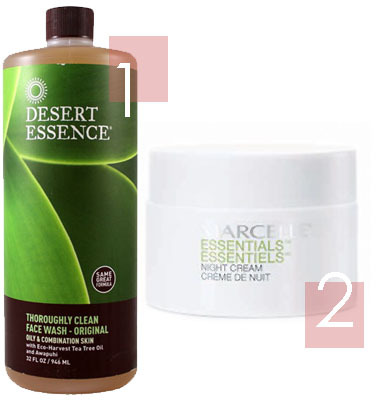 At the beginning of last Spring I need a new cleansing routine for my face and my body. My original products just were not cutting it for me, I must have had a major change with my hormones and what not but I knew I needed something to match what was going on. You can see the changed routine HERE. I don't suffer from face acne but I do have a few red spots and some blemishes because when I do get pimples...I just can't help it, I have to touch them! I know you guys do too. I will admit that in high school I did suffer from sever acne on my back and nothing worked to cure it. I didn't know any better and fussed around with them and now have scars everywhere - it gets really troubling especially when I want to wear a swim suit in the summer or a different cut top or dress. If you've been through it too you know what I'm talking about. Now a days I do get a few here and there but not as bad. I have finally found a cleansing routine that is working so well, I don't need to wear foundation on my face and the scars are eliminating on my back!! FOR THE FACE - I don't like to wear foundation or coverup so my mission is clearer and brighter skin. 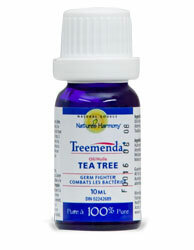 Before bed: I use Treemenda 100% Tea Tree Oil - I must warn you...the smell is SO strong! So definitely only apply it before you sleep and wear clothing you don't mind getting the smell on it and also your loved one you sleep beside needs to get a brief warning, it's only fair! This is a natural antiseptic and germicide and has been eliminating the acne scars on my back! I hope you all find a routine that works for you - so far mine's doing great things for my skin! What routine do you use or do you even use one? I actually added something to my routine last week and the results have been amazing so far... Oatmeal! I saw it on Jen's blog (Her Waise Choice) first and decided to give it a try. I was my face at night with oatmeal, and sometimes in the morning as well, and my skin got so soft and clean! Check Jen's blog for the ritual - I definitely recommend it. 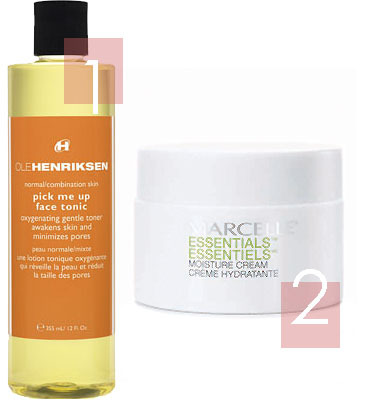 Other than that I use Biotherm Aquasource toner which is great for my skin too. To moisturize it I use an organic cream made by my aunt. I am so lazy when it comes to skin care. Pretty much just clenser and moisturizer. Should probably be more diligent. Thanks for sharing your routine. I have also nominated you for the Liebster Blog Award. I hope you accept. The rules are on my blog. Basically it's to recognize bloggers that are just starting out in the bloggosphere.